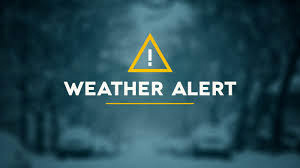 DENVER (April 10, 2019) – With blizzard warnings in effect for Denver, Fort Collins, Greeley, Castle Rock and much of northeastern Colorado, motorists take note: It is never safe to drive in a blizzard. 65-mile-per-hour wind gusts and blowing snow will severely limit visibility and make road travel extremely dangerous, if not impossible, throughout much of the state. Closures are likely along the I-25, I-70, and I-76 corridors. AAA Colorado will be fully staffed with essential personnel, and our emergency roadside assistance fleet will be out in full force. High call volume, treacherous conditions, heavy traffic, and road closures will sharply increase response times. Moreover, emergency assistance vehicles are only able to rescue stranded motorists on open, maintained roads. If a roadway is closed by an authority, AAA vehicles can not legally and will not traverse it to provide emergency roadside assistance. The bottom line: The only surefire way to stay safe during this storm is to stay inside and avoid driving. AAA Colorado will be working in tandem with local governments and emergency personnel throughout the storm. Stranded motorists should follow local emergency guidance. Hazardous storms and inclement weather are a factor in half a million crashes and more than 2,000 road deaths every winter, according to research from the AAA Foundation for Traffic Safety. AAA implores Coloradans to avoid driving. If you must drive, slow down, be cautious, and prepare for worst-case conditions. 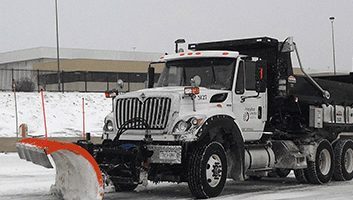 Before heading out, visit CoTrip.org for the latest road conditions. Remember, roads that might be open when you begin your drive may very well close before you can reach your destination. Do not leave your house without an emergency kit with tire chains, abrasive material such as sand or kitty litter, small shovel, flashlight with extra batteries, ice scraper, rags or paper towels, flares or other warning devices, booster cables and a first aid kit. Pack waters and snacks, such as energy bars, and bring pet food if you’re traveling with four-legged friends. Stay in the vehicle: If you leave your vehicle, you will become disoriented quickly in wind-driven snow and cold. Conserve gas: Run the motor about 10 minutes each hour for heat. Breathe easy: While running the motor, open the window a little for fresh air to avoid carbon monoxide poisoning. Clear snow from the exhaust pipe regularly. Be visible to rescuers: Turn on the dome light at night when running the engine. Tie a bright colored cloth, preferably red, to your antenna or door. After the snow stops falling, raise the hood to indicate you need help. If you are a AAA member: Call us (1-800-AAA-HELP), download the mobile app, or request service online in order to receive emergency roadside assistance. Don’t tailgate: Normal following distances of three to four seconds on dry pavement should be extended to a minimum of eight to ten seconds when driving on slippery surfaces. The extra time will provide additional braking room should a sudden stop become necessary. Move over: Move over one lane for law enforcement and emergency roadside assistance personnel assisting motorists. It’s the law. If you can’t move over, slow down. Don’t stop going up a hill. There’s nothing worse than trying to get moving up a hill on an icy road. Never use generators or outdoor heating or cooking equipment, like a grill or propane heater, indoors. It presents a fire risk and will expose you and your family to dangerous carbon monoxide. Never heat your home using the stove or oven. If you use a generator, keep it outside in a well-ventilated area at least 20 feet away from any door, window or vent. Limit your time outdoors. If you must go outside, dress in layers and cover up any exposed skin to protect against frostbite. If your clothes get wet, replace them with dry ones. Know how to recognize hypothermia. Warning signs in adults include shivering, exhaustion, confusion, slurred speech, memory loss and fumbling hands. In infants, signs include bright red and cold skin and low energy. More than 685,000 members strong, AAA Colorado is the state’s most-trusted advocate for the safety and security of all travelers. As North America’s largest motoring and leisure travel organization, AAA provides more than 59 million members with travel, insurance, financial, and automotive-related services – as well as member-exclusive savings. For more information, visit AAA.com.